Sweet friends, I apologize for being late with my furniture makeover this week. We had a power outage most of the day on Wednesday which meant no internet service. I planned on finishing a few details on this piece but there wasn't enough light in the basement workshop. Sadly, my days of painting outdoors are over. It's been a balmy +5°C the last couple of days - that's 41°F for those of you in the US. Time for winter coats, mittens, and blueberry tea to stay warm. Mr. Frugalista a.k.a. 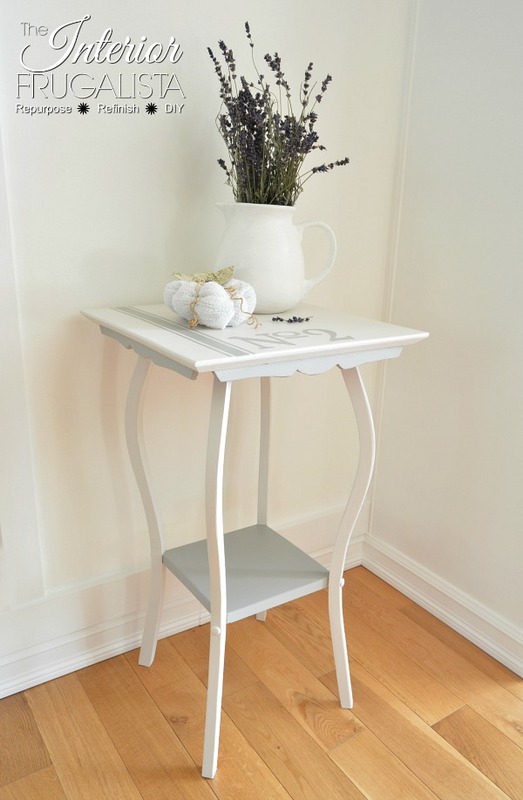 my furniture buyer asked me if I would be interested in this adorable Antique French Tea Table and I immediately gave him the thumbs up. 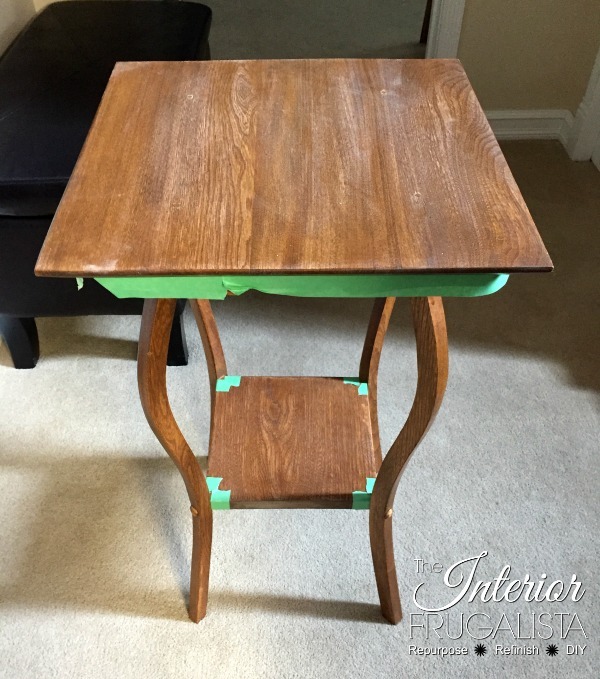 It was in really good condition and I planned on staining the top a dark walnut. Upon closer inspection, I saw that someone had reattached/reinforced the legs with screws...from the top! So onto plan B, a painted top. I got a little overzealous and taped it prior to taking the before picture. Can you see the screw holes on the top? Despite filling the holes with wood filler, they were still too obvious to apply a stain. If you follow me on Instagram, last week I shared a photo of a fabulous delivery I received. I have a larger project reserved for these products but like a child on Christmas morning, I couldn't wait to start playing. *Paint products provided by Dixie Belle Paint Company. Project idea, choice of products, and all opinions are 100% that of my own (see full disclosure policy). This post also contains affiliate links so you can find some of the products used for this makeover. This table is mahogany and it's been my experience that you are guaranteed paint bleed from the tannins in the wood, especially when painting white. I've ALWAYS applied a stain blocker or shellac first but I decided to tempt fate and slap the paint on without any prep. As you can see in the photo above, not only was there no paint bleed but I got complete coverage in two coats. 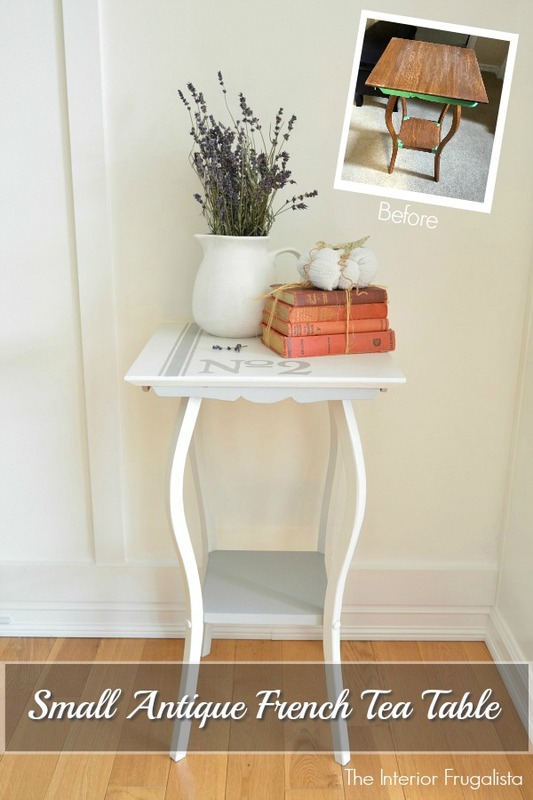 Painting furniture with chalk paint is not new to me and over the last 3-4 years, I've used several different brands. Dixie Belle paint had this ole gal doing the happy dance to the beat of the 70's rock blasting from my blue tooth speaker! 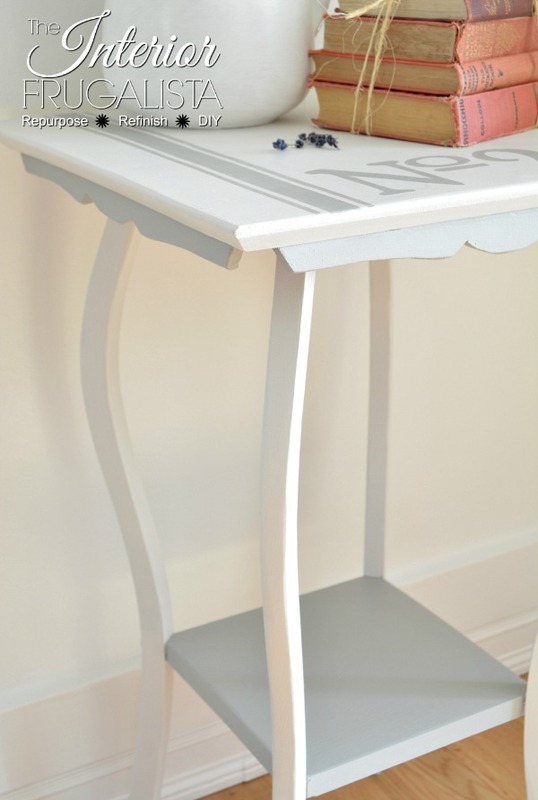 The legs and top were painted white in the color Fluff which has gray undertones. The bottom tier and the pretty scalloped edge along the top were painted gray in the color Driftwood, which is a soft gray. Another thing that surprised me about this paint is the quick drying time, bonus! I love how these two colors combined are so soft and pretty but you know me, I couldn't leave well enough alone. I just had to inject more personality into this piece and with those lovely curves, it was begging for some French goodness. 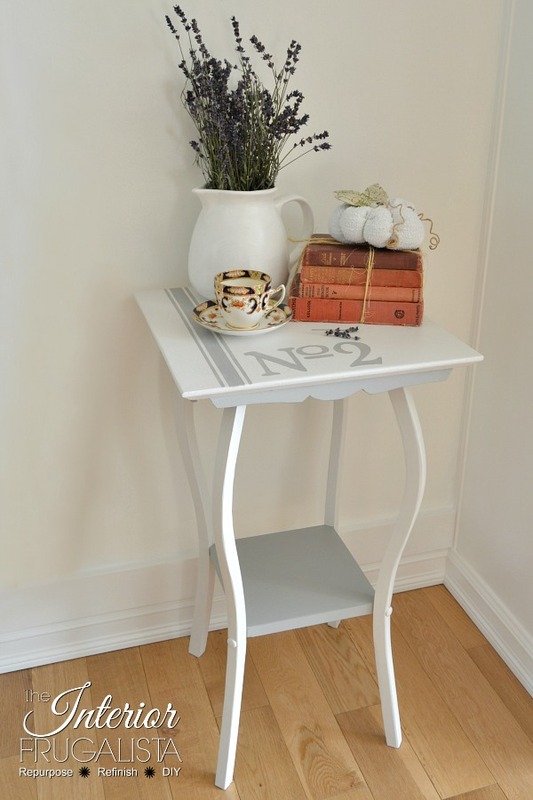 Using the same driftwood gray paint color I combined the numbered stencil (affiliate link) and grain sack stripe stencil (not an affiliate link) pictured above to the top of the table. One coat of paint and light distressing after it dried using 220 grit sandpaper. The following morning I applied a coat of clear wax over the entire piece. Dixie Bell Paint Company calls their wax, "Best Dang Wax" and I can attest that not only is it the best dang wax but it smells good too. It's also easy-peasy to buff, important when these old arms just ain't what they used to be. My dear loyal readers, did you notice the dried lavender in the pitcher? Yes, it's the same lavender I harvested from my front yard in August. If you missed it, you can catch my post here on How To Harvest And Dry Lavender. After all my hard work it's time to warm up and relax with a blueberry tea. Those of you who read my IKEA Moppe Hack Apothecary Cabinet post learned what ingredient I add to make this special tea. If you're curious about the pretty white pumpkin sitting on top of the books, I share a tutorial on How To Make Sweater Pumpkins With Cabinet Knob Stems. 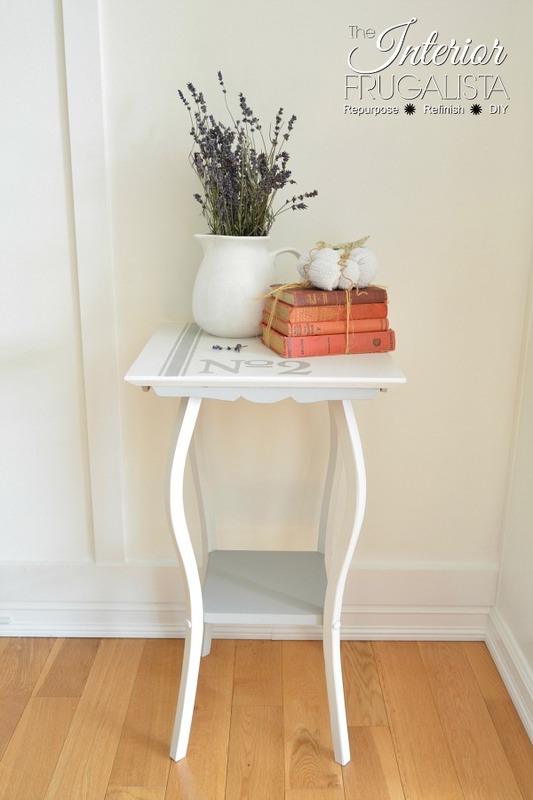 If you like my Antique French Tea Table, please share it with a friend and/or save it on Pinterest. If you would like a weekly dose of DIY inspiration, subscribe to my RSS feed or blog and get my tutorials delivered to your inbox twice per week. I stood in front of this table, with sandpaper in hand, more time than I care to admit wondering To Be Distressed or Not To Be, that is the question? 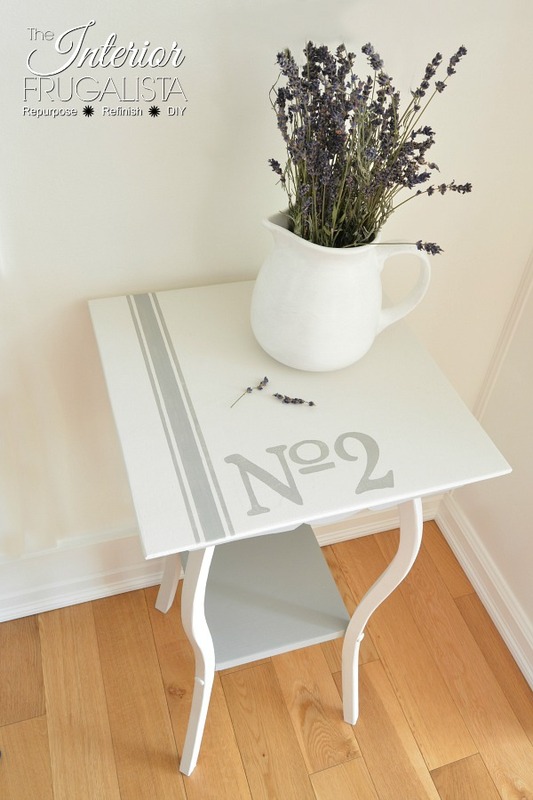 Loved the table, so chic n classy, can you please let me know from where you bought the grain sack strip stencil? Hello Seema, I'm so glad you like the table makeover! 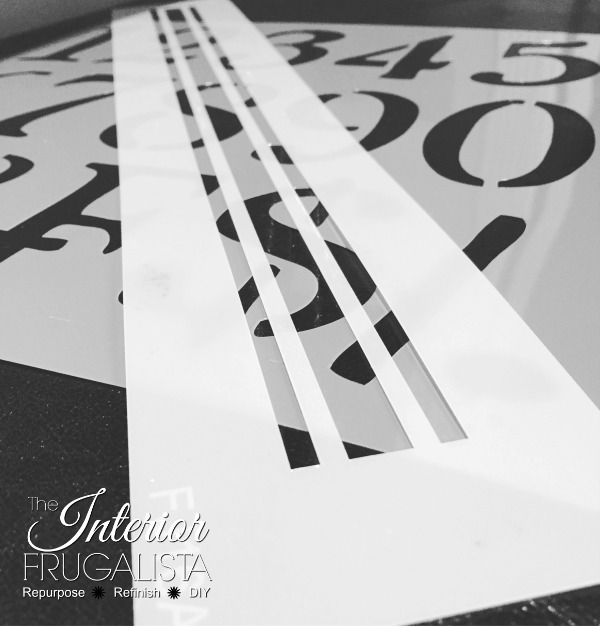 Thank you for pointing out that I forgot to share links to find the stencils. 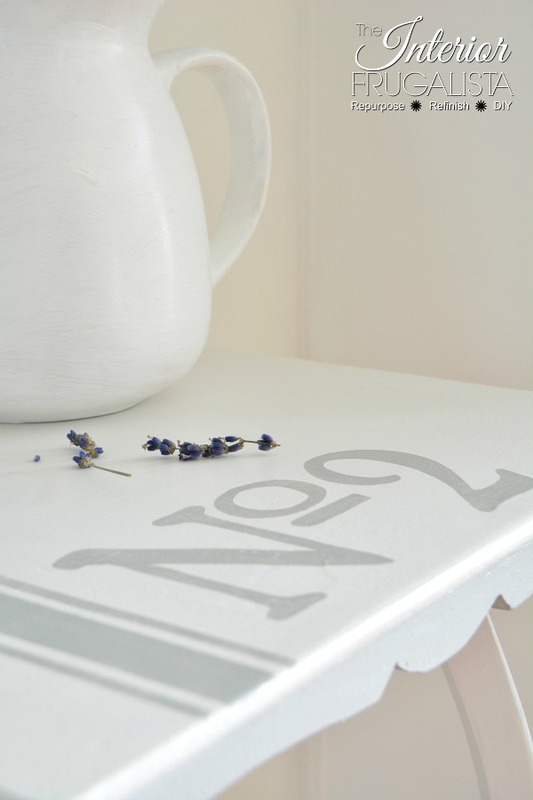 I've since added a link to find the grain sack stencil in the post.